Life is full of exciting things “!”, confusing things “?” conversations “” and to do lists “:”. With life getting thrown at us so fast we forget to add ” , ” to stop to catch our breath, or a “ . ” to just simply stop and begin something new. But what if we started something new? What if we began to punctuate our life with Hallelujah‘s instead of ! ? : , and ?. 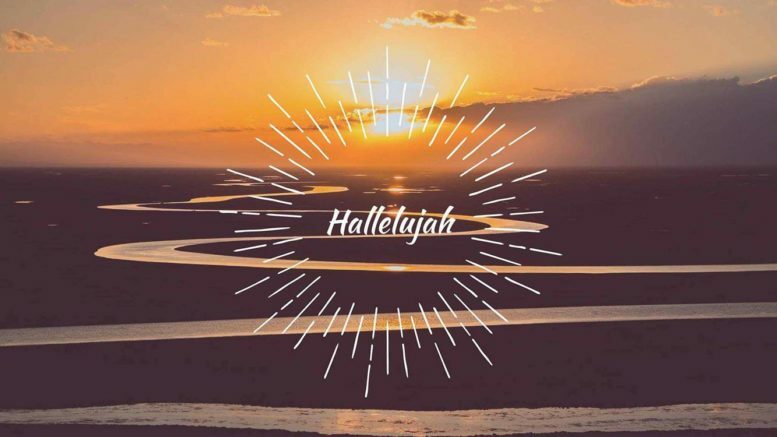 Hallelujah is something of an equivalent to “God be praised”, and we say this when we want to worship and rejoice. The Hebrew equivalent, הַלְלוּיָה, is made up of two elements. “הַלְּלוּ” an exhortation to “praise” and “יָהּ” meaning the name of God. Yes, give praise, O servants of the Lord. Praise the name of the Lord! These Bible passages are only a few of many that show us that praising God, through every season of life, the ! ? : , and ., is something we ought to do often. Mercy Me released the song “Even If” a few months back, and if you haven’t heard it already, I strongly suggest that you listen to it now. Hallelujah, even when things aren’t going so great, because God is good all the time. Instead of questioning why you’re in a season of heartbreak and sorrow, say “Hallelujah,” and praise God for being your cornerstone. Instead of being overwhelmed by that lengthy to do list sitting on your desk, say “Hallelujah,” and praise God for giving you peace amidst the stress. Instead of looking back at conversations you had throughout the day as just merely that, say “Hallelujah,” and praise God for the opportunity to communicate his love. Instead of getting stressed about your hectic, yet exciting schedule, say “Hallelujah,” and praise God for the joy he promises. Stephanie is a college freshman with a passion for Jesus and coffee. She attends Willow Creek Community Church in Chicago, and frequently volunteers for church ministries. When not writing, Stephanie also enjoys photography and running. Get the latest breaking news, exclusive interviews, and our top opinion pieces delivered straight to your inbox! All the cool kids do.